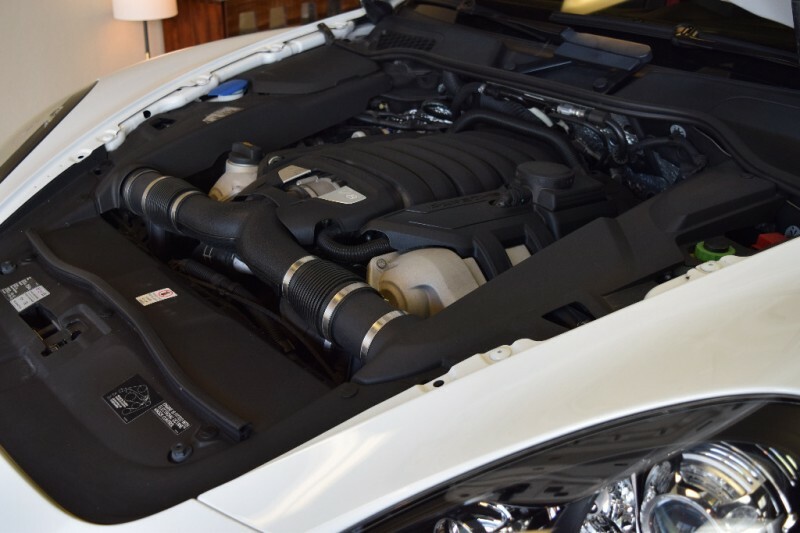 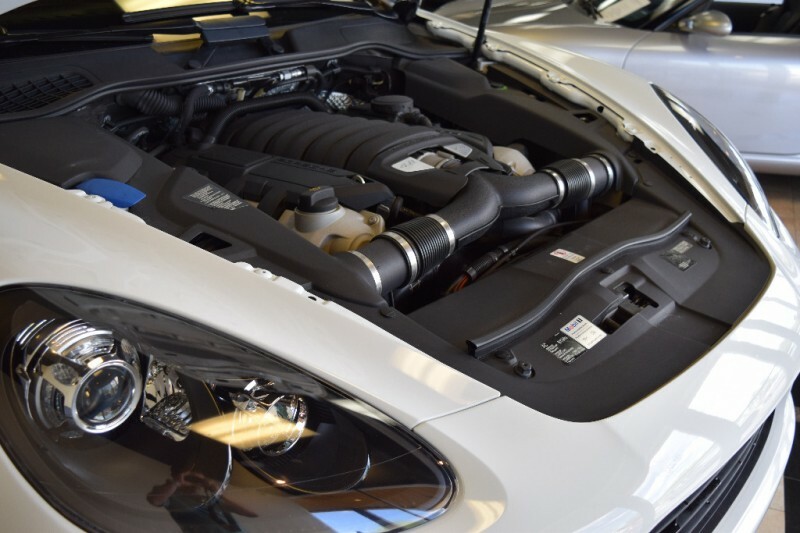 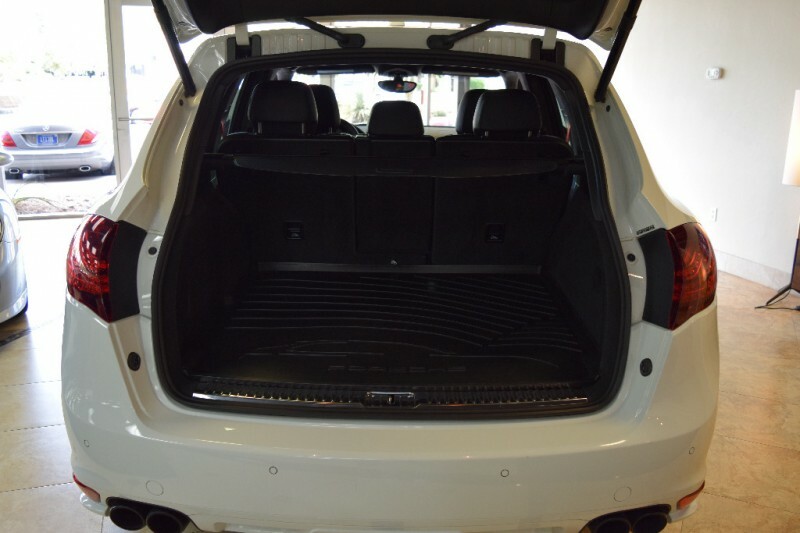 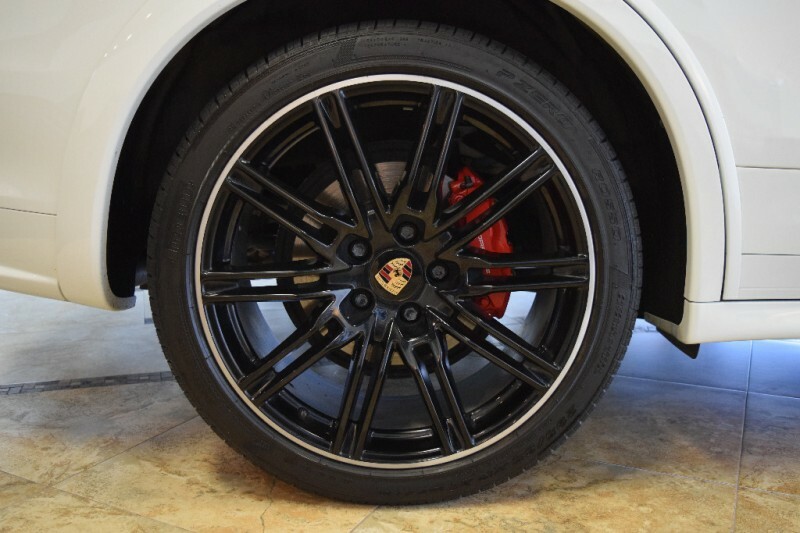 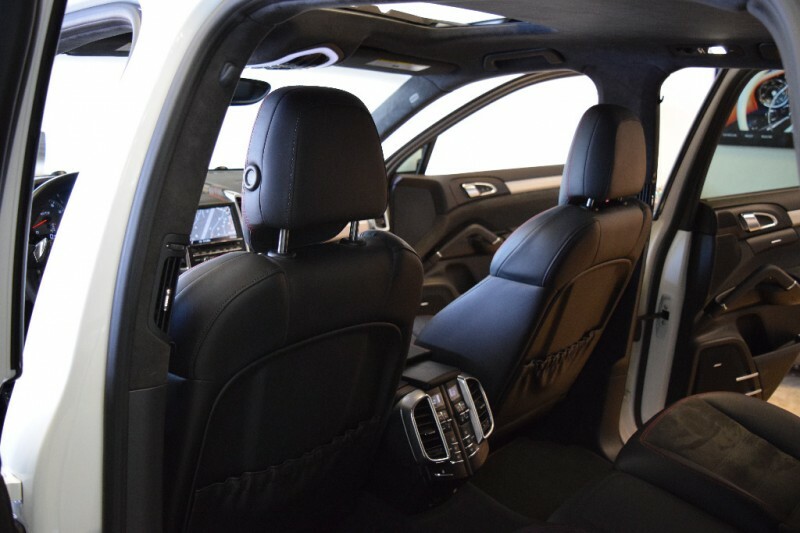 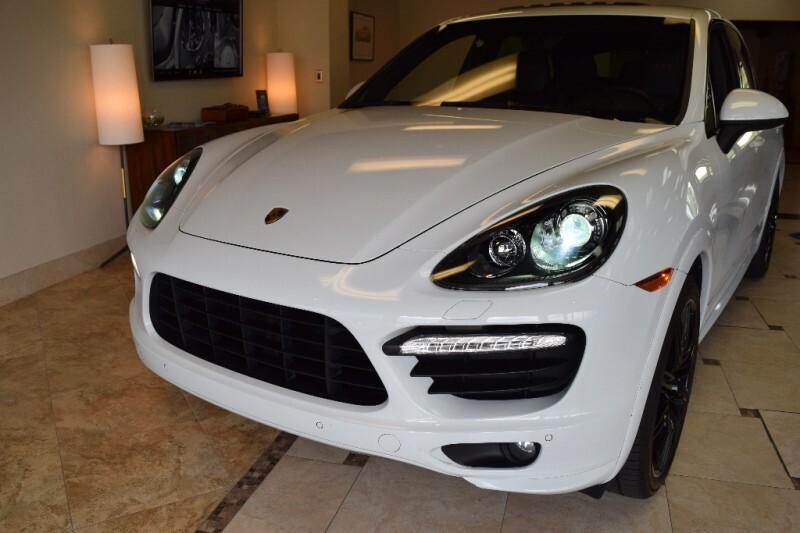 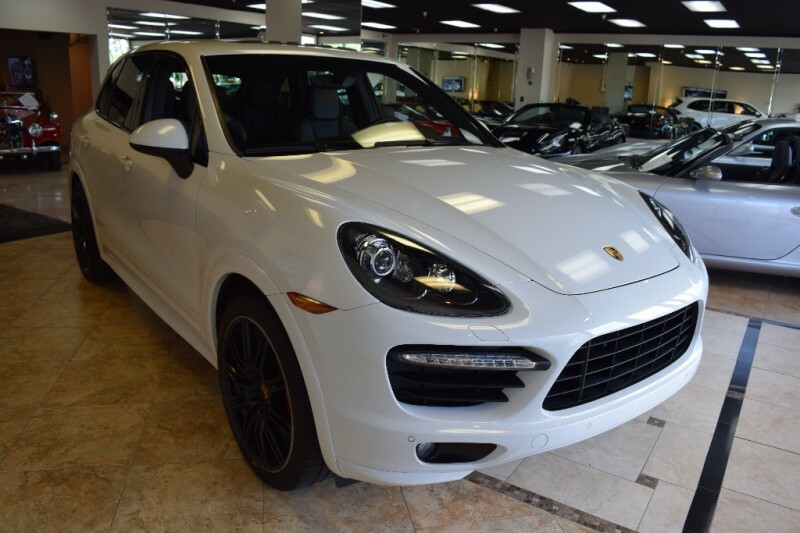 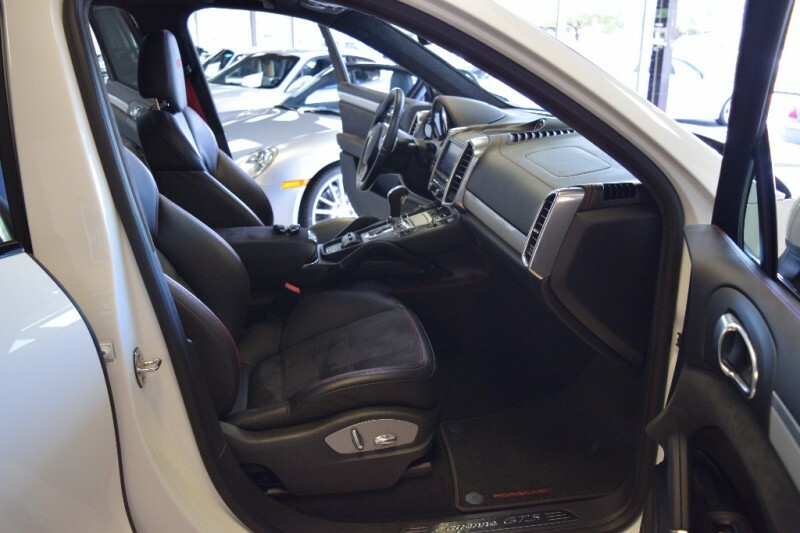 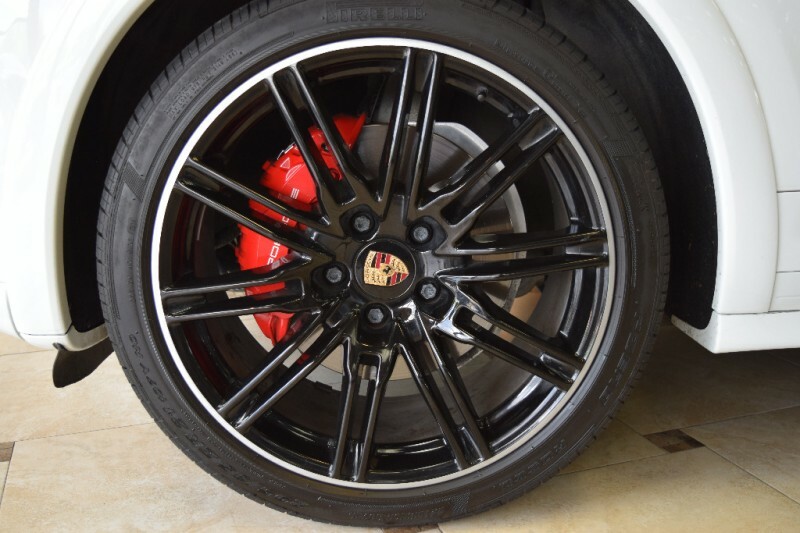 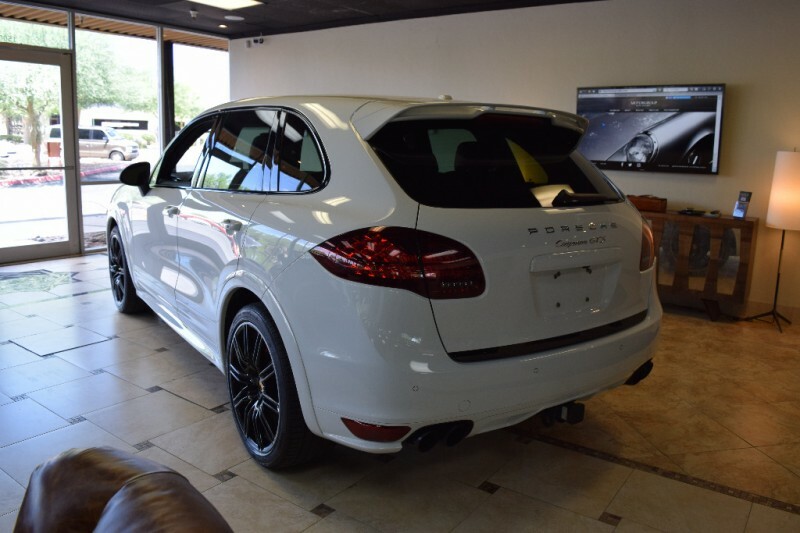 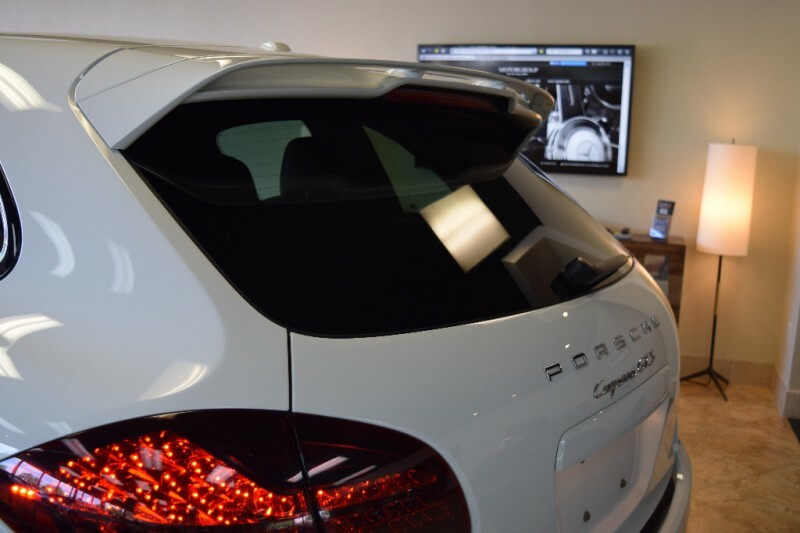 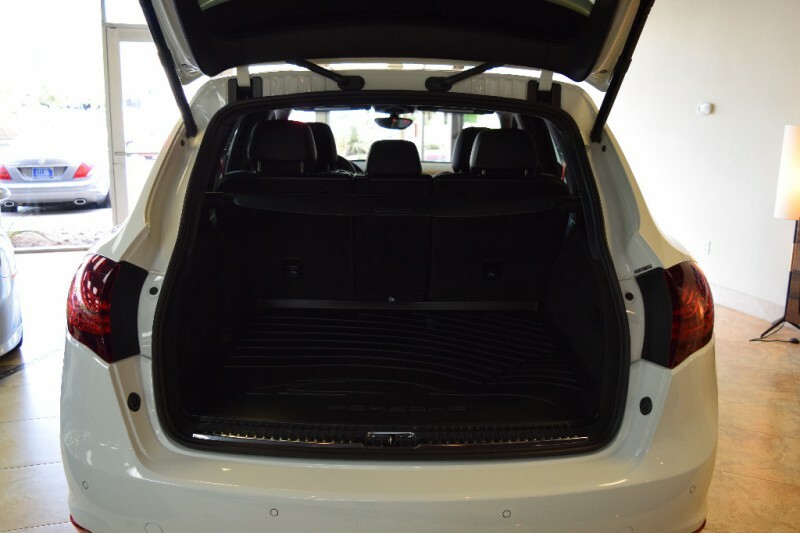 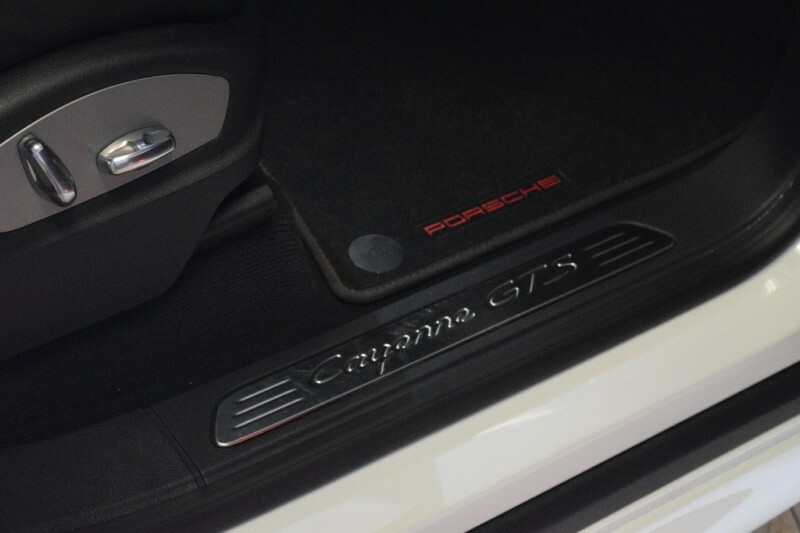 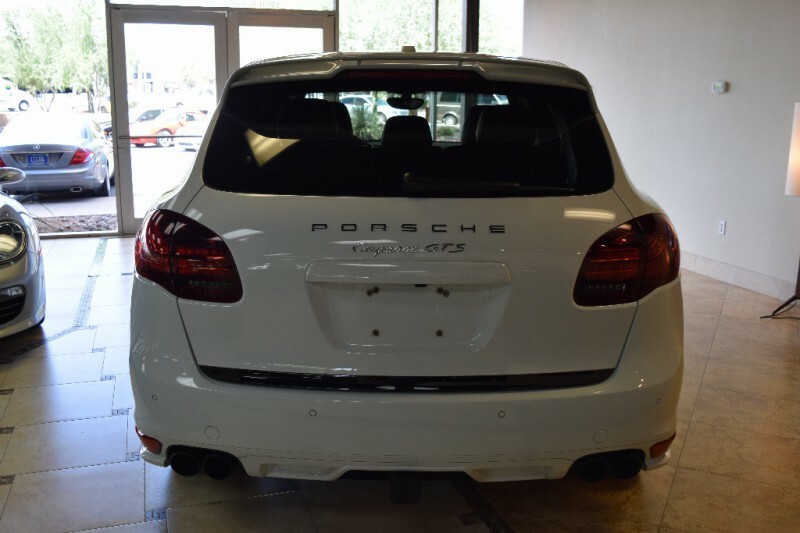 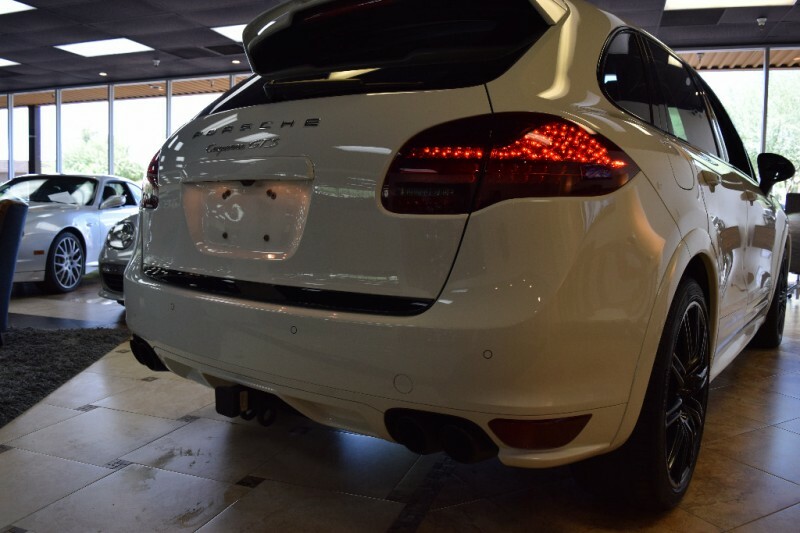 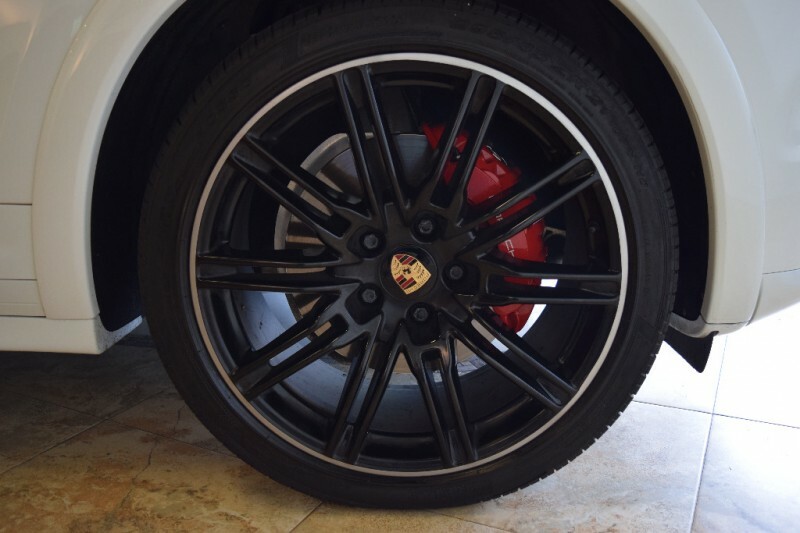 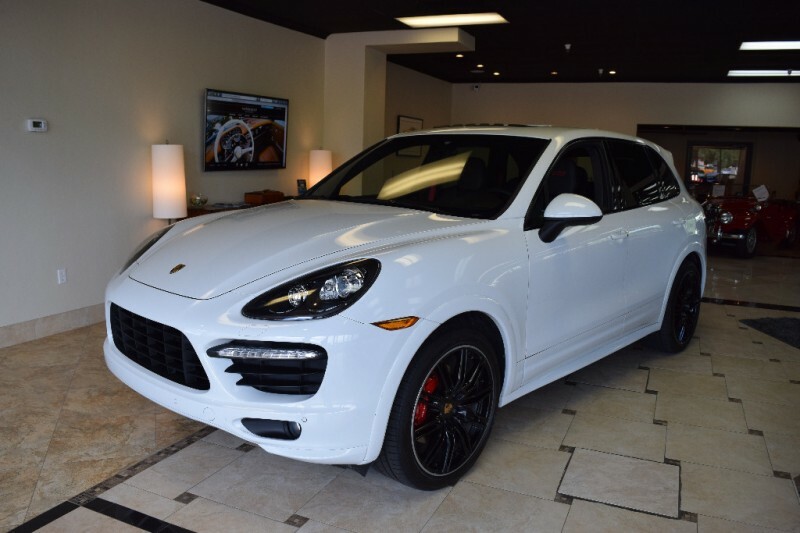 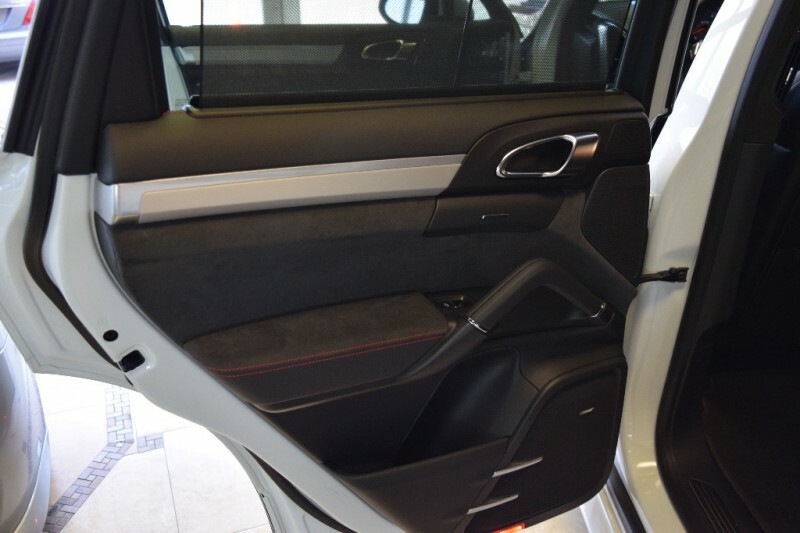 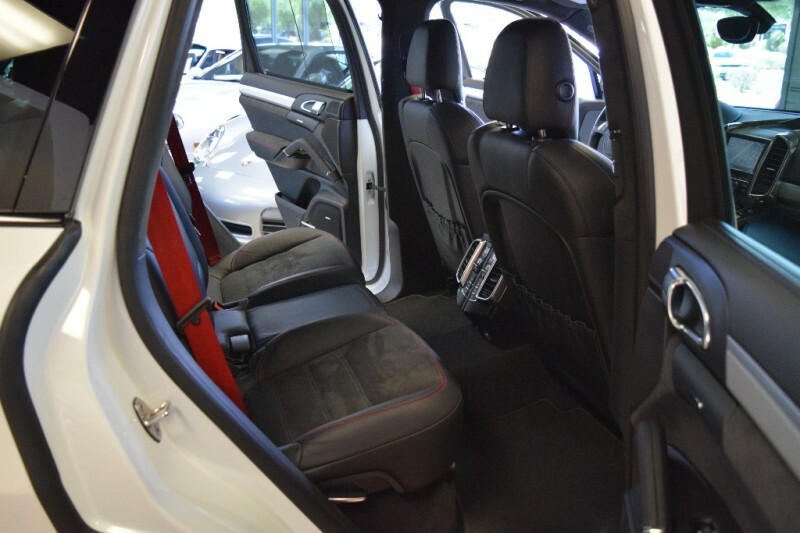 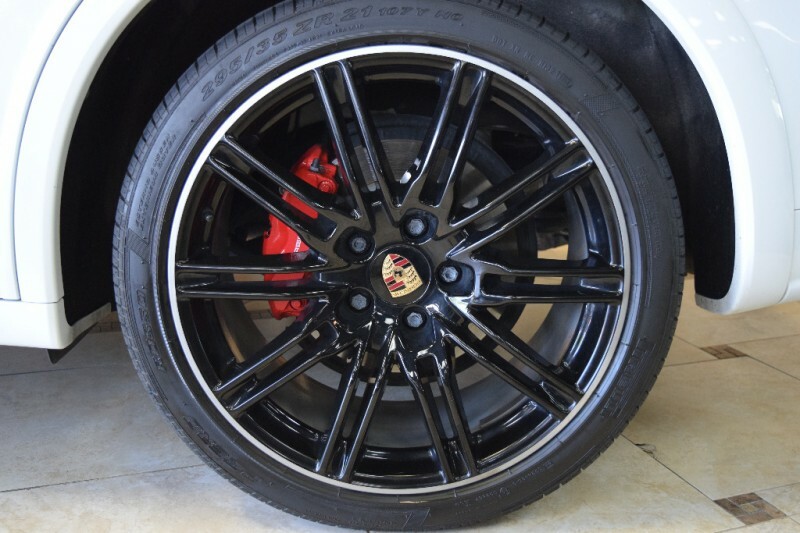 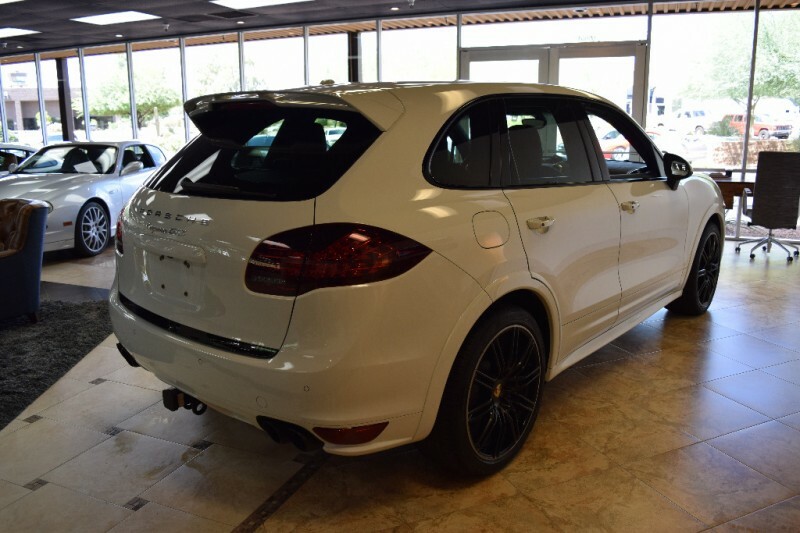 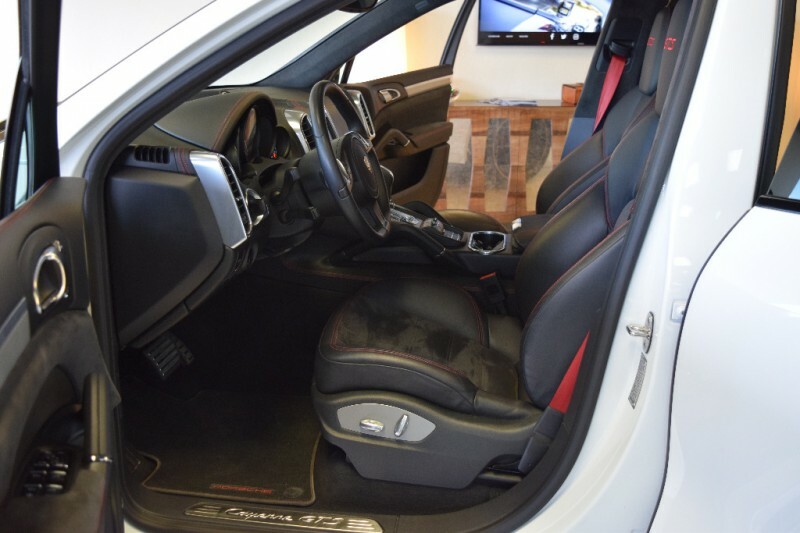 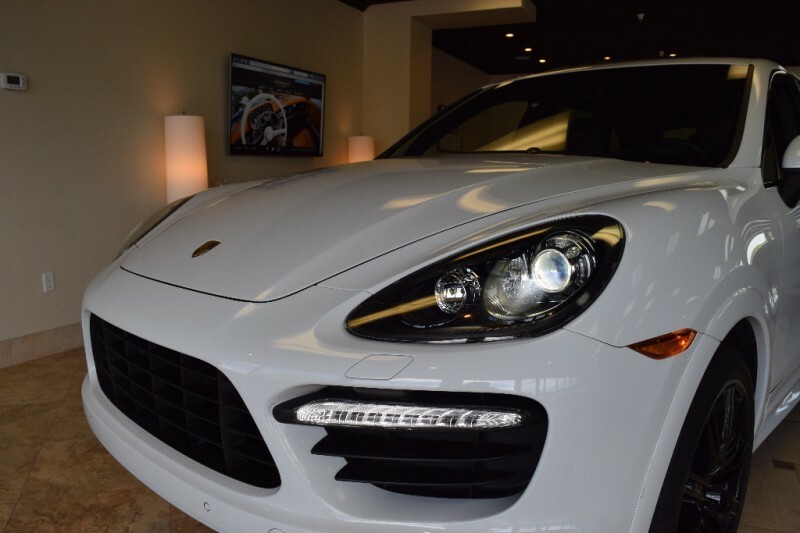 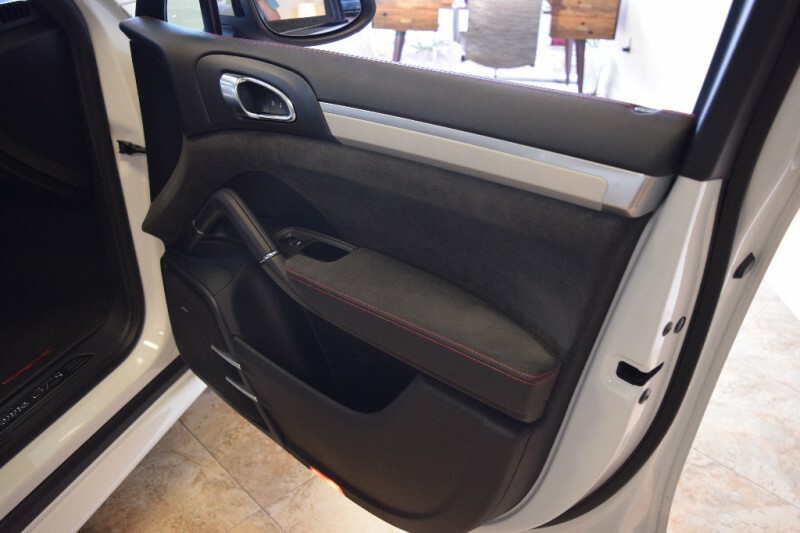 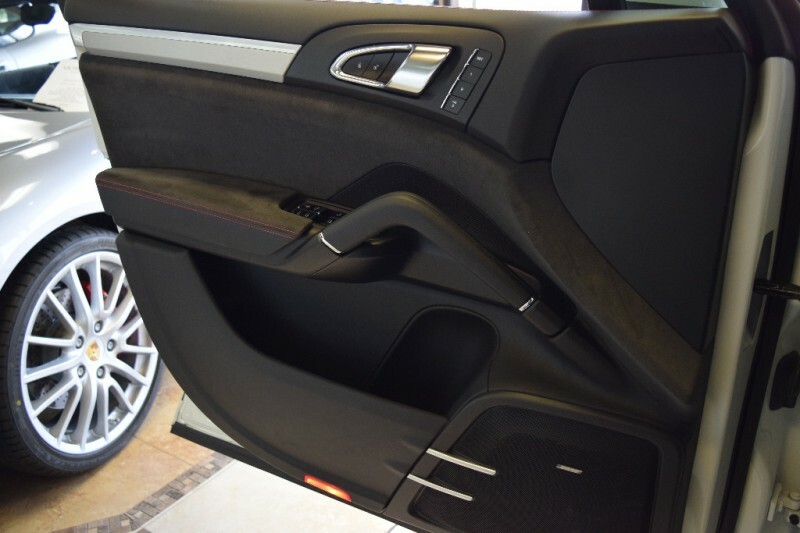 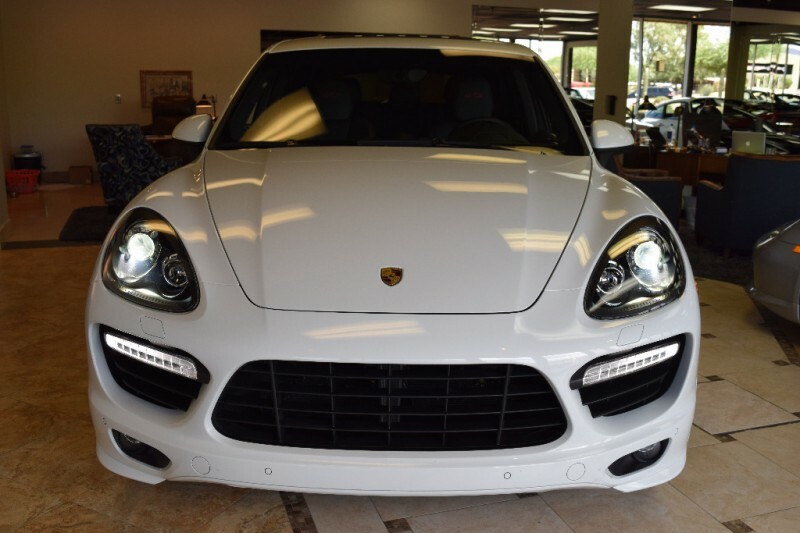 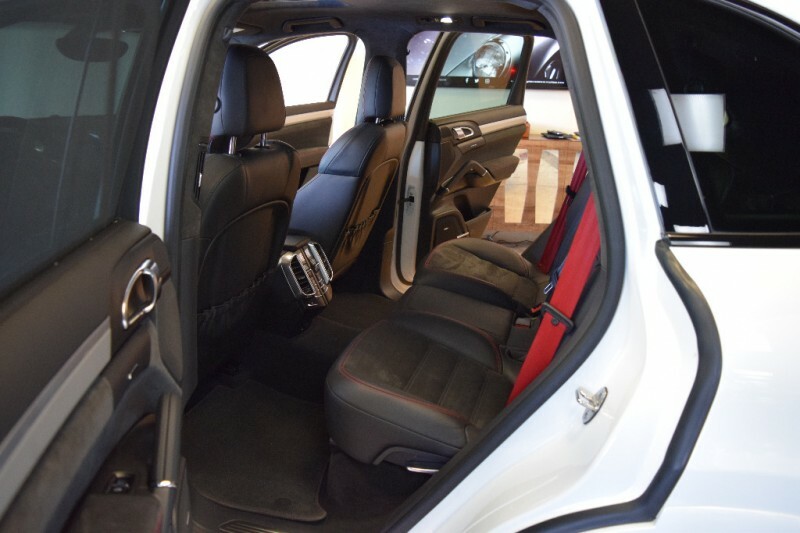 STUNNING 2013 Porsche Cayenne GTS in White with Dark Charcoal GTS Leather/Alcantara interior package- Carmine Red Accents, PRISTINE inside and out with only 28xxx miles. 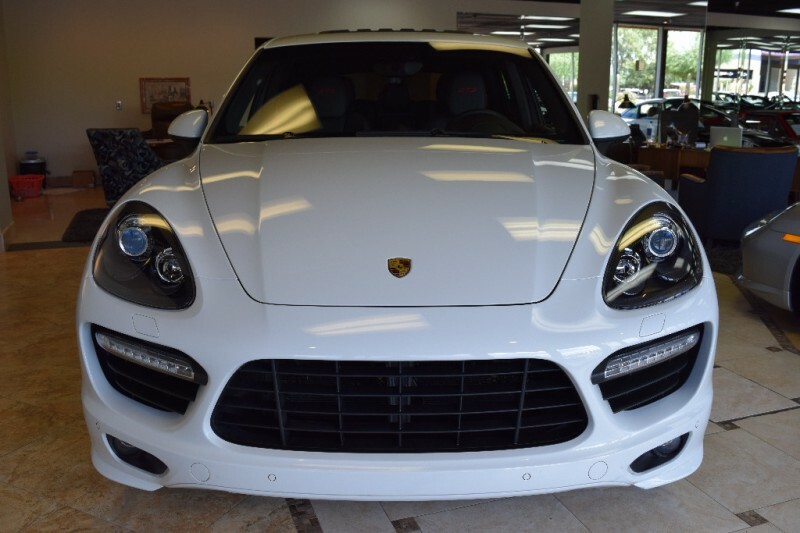 Two owners since new have babied this Cayenne GTS. 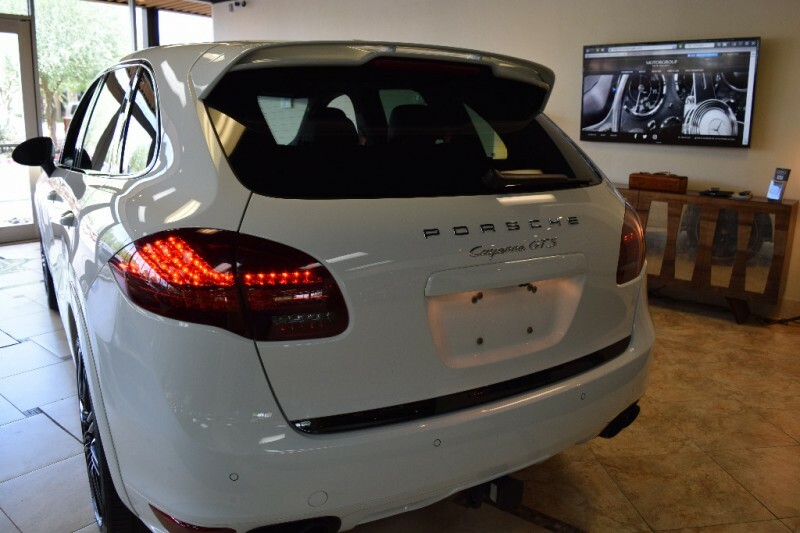 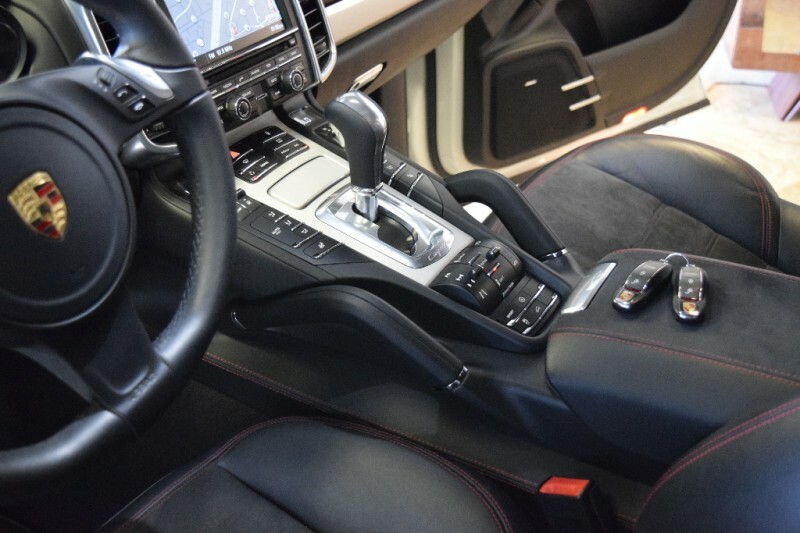 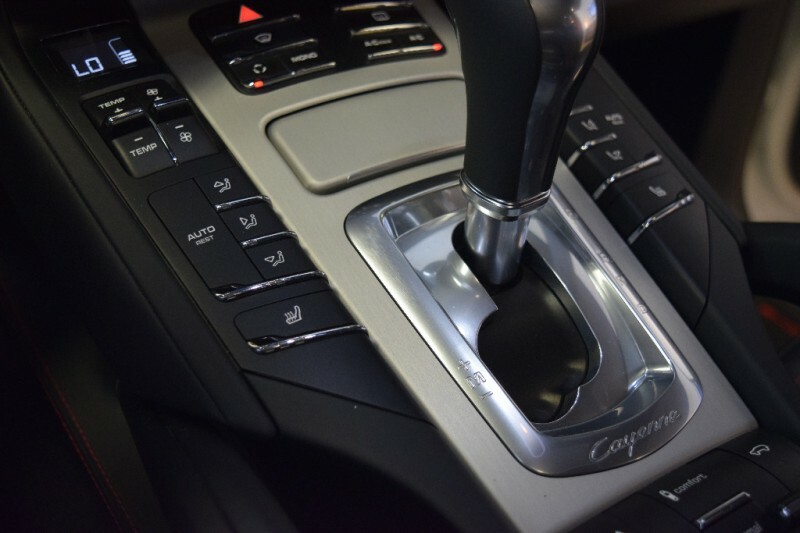 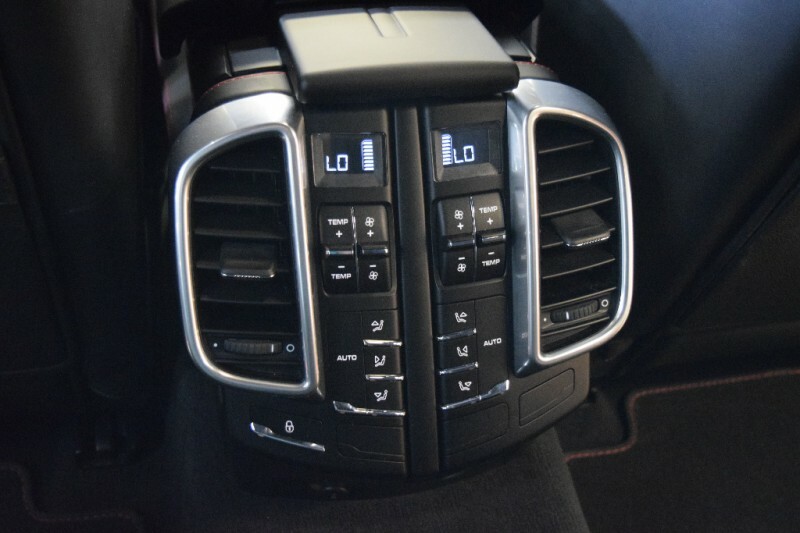 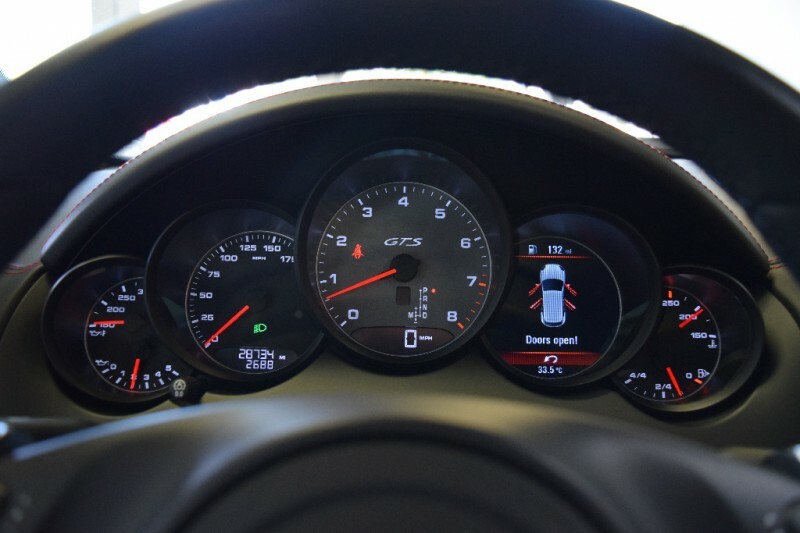 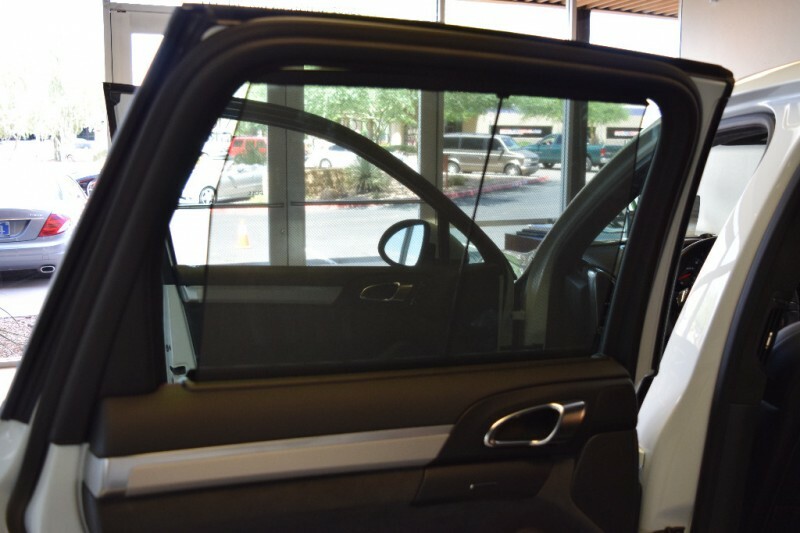 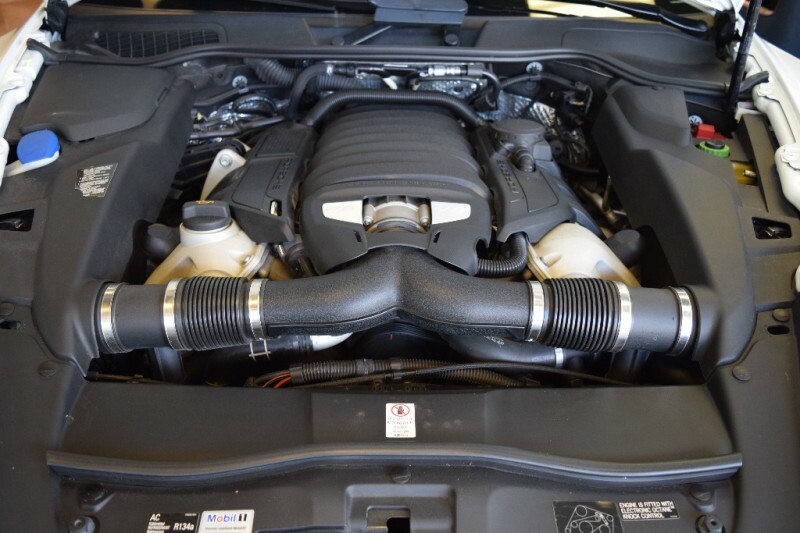 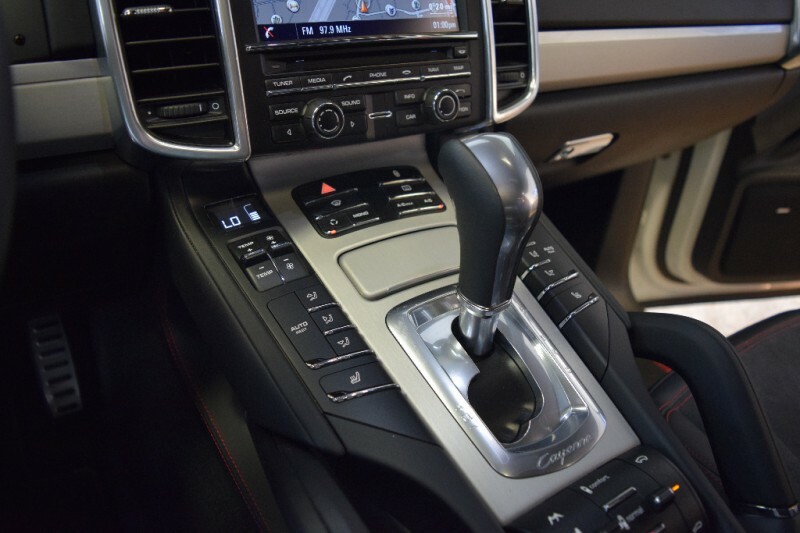 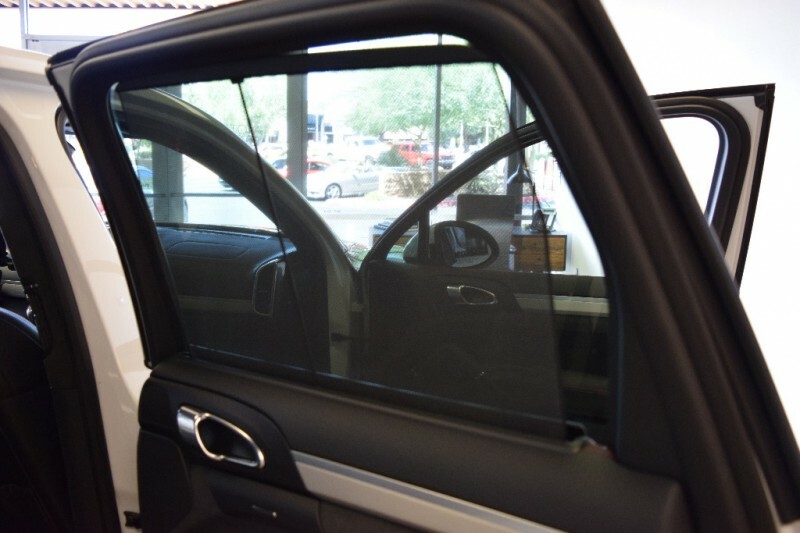 Still covered by Porsche CPO Warranty until 5/29/2019 or 100,000 miles, MSRP’d new at $106,685 ! 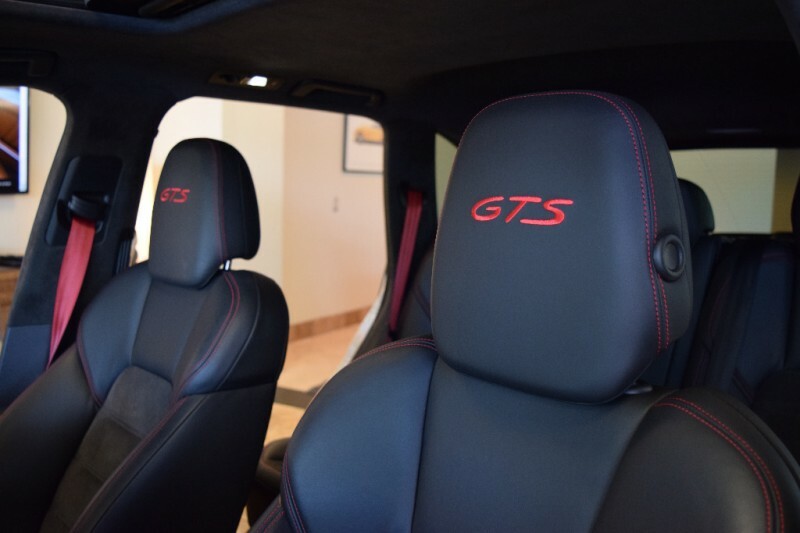 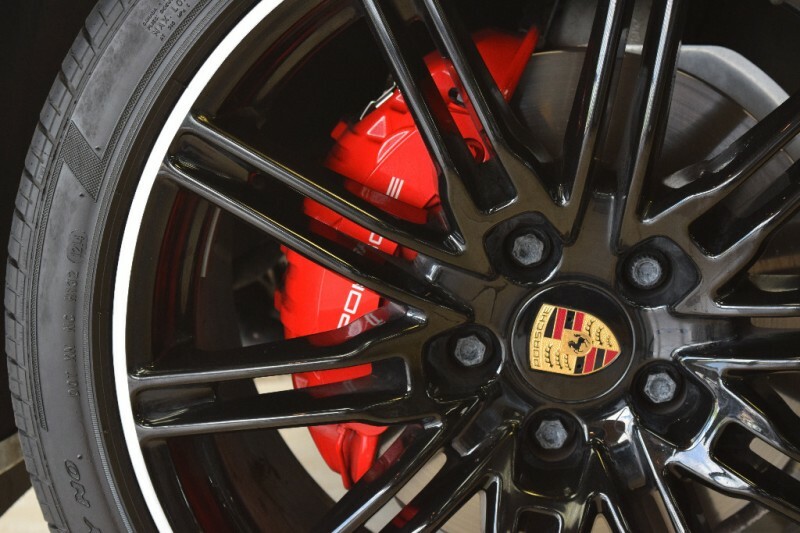 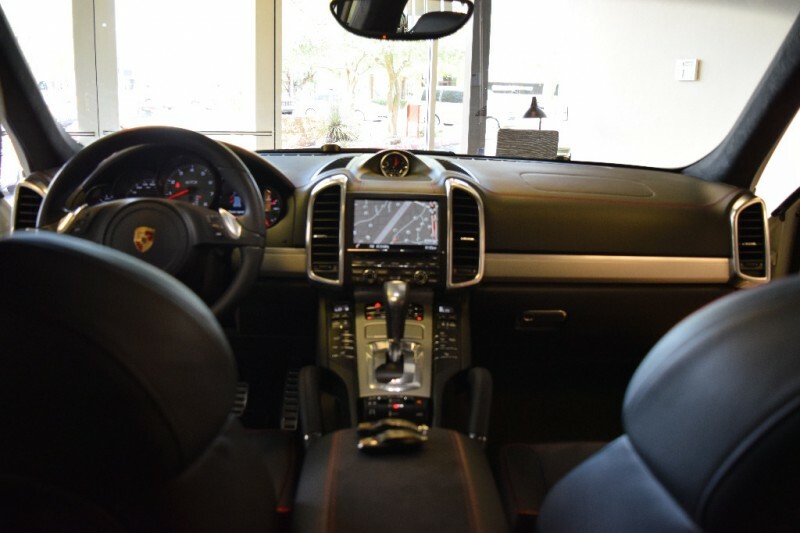 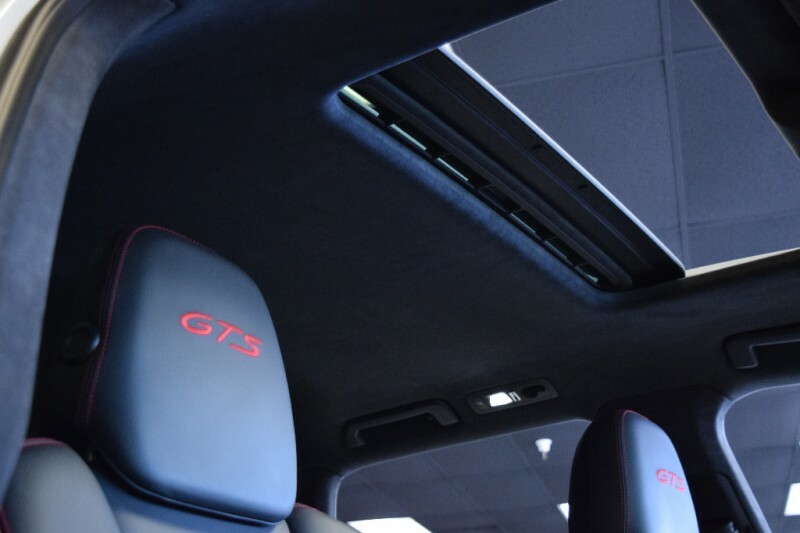 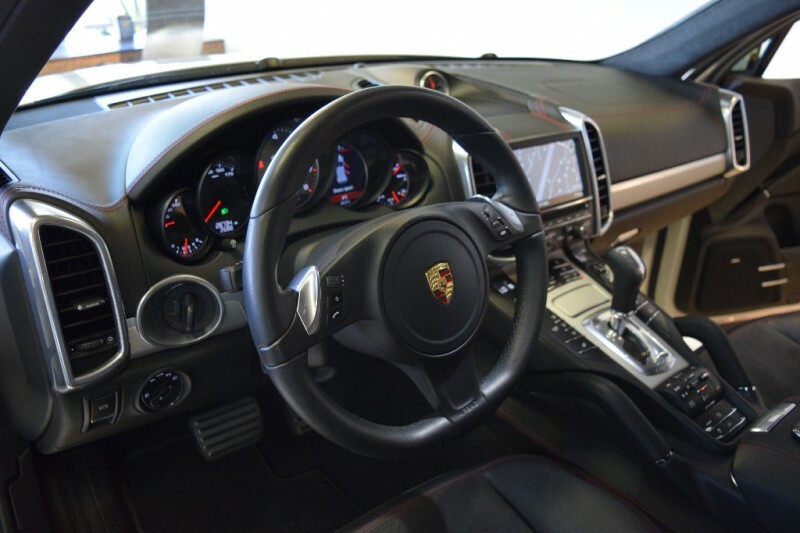 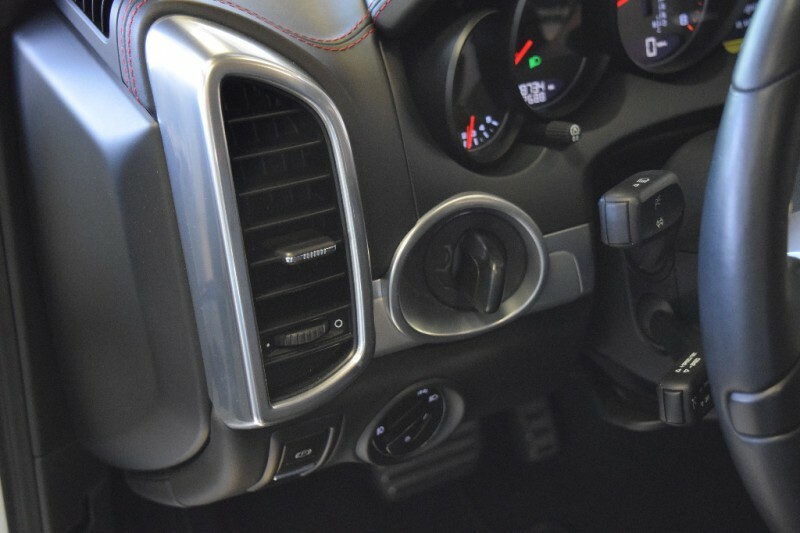 Loaded GTS with Porsche Entry & Drive, Porsche Communication Management (PCM) with Navigation Module, Multi-function steering wheel incl. 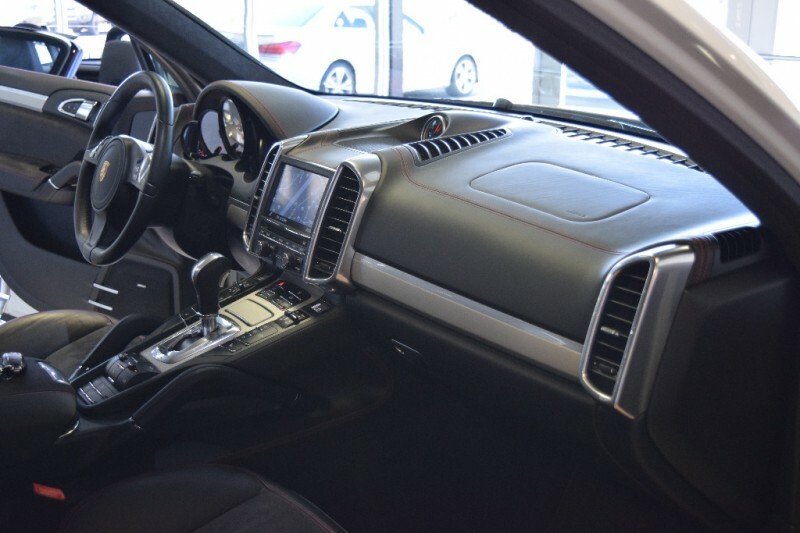 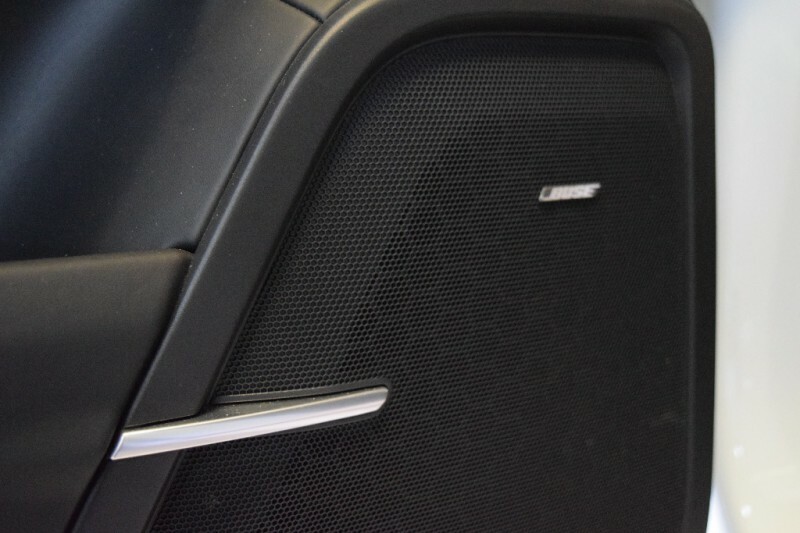 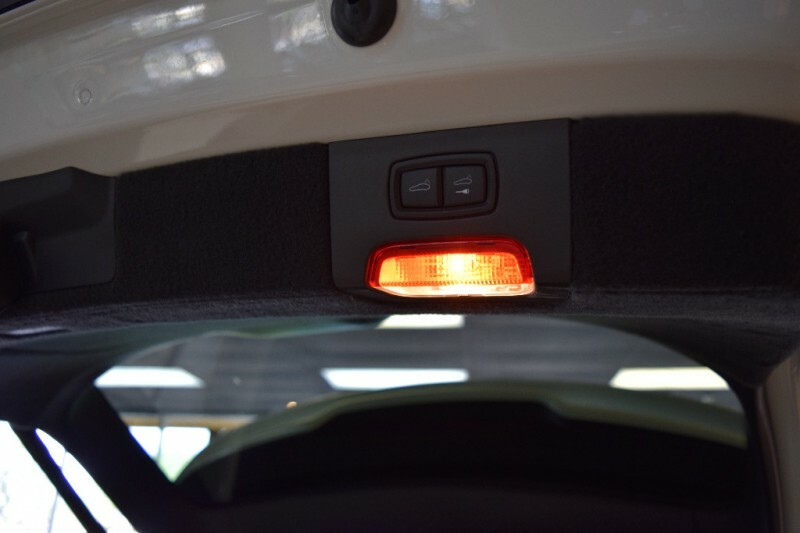 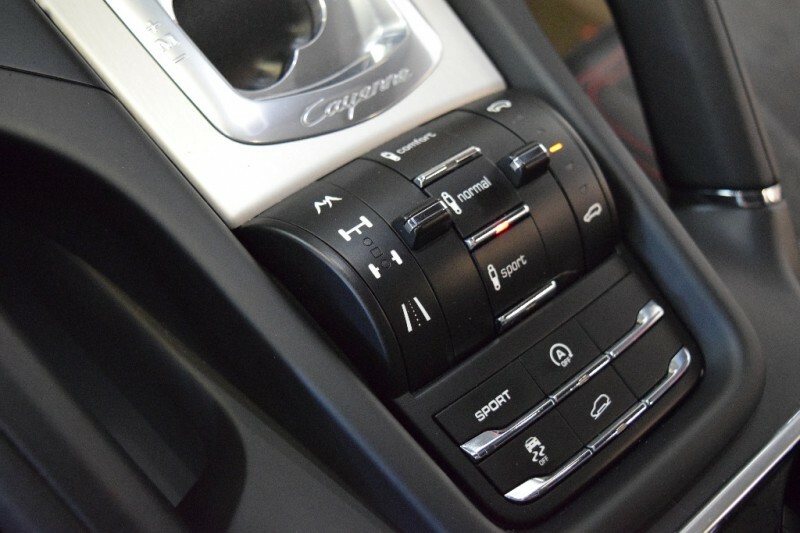 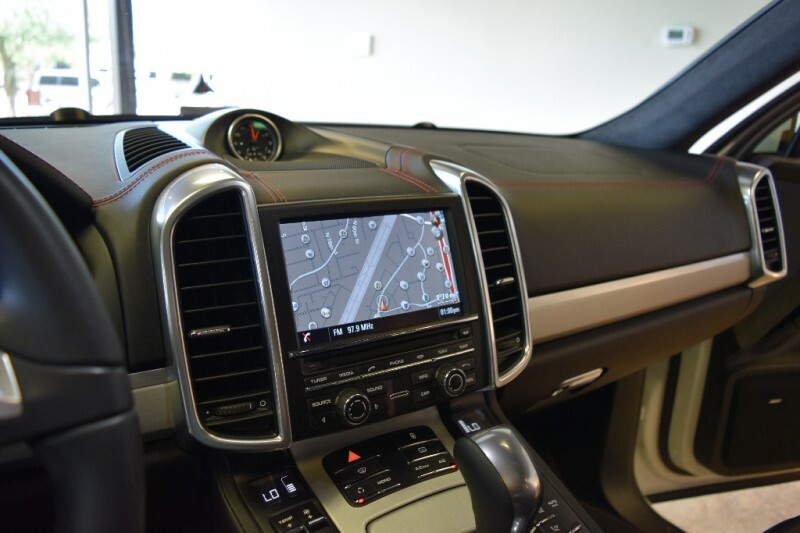 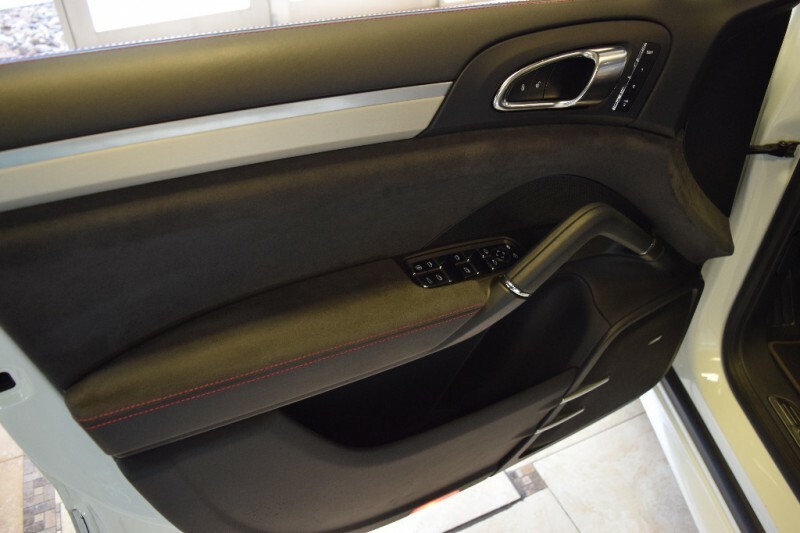 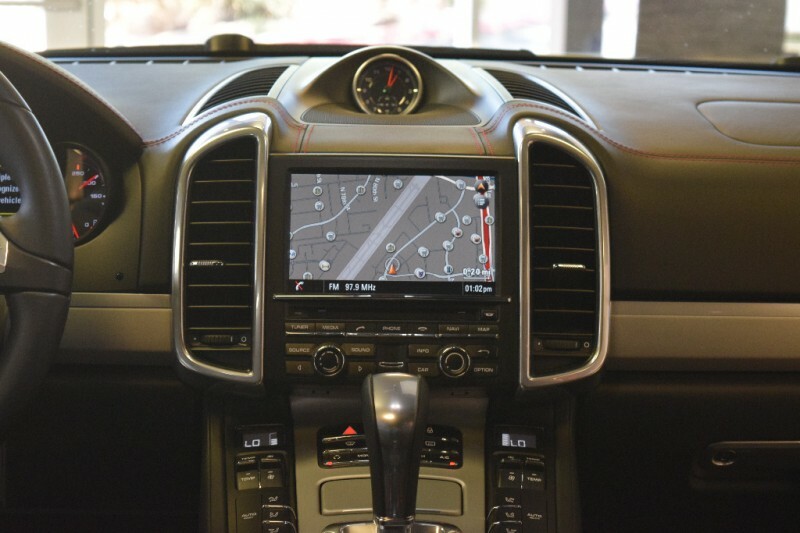 Heated Steering Wheel, Heated Front Seats , Wheel Hub Cover with Colored Porsche Crest, Reversing Camera with ParkAssist Front and Rear, Lane Change Assist (LCA), 4-zone Climate Control, Electric Roll-up Sunblind for Rear Side Windows, BOSE Surround Sound System, SiriusXM Satellite Radio Receiver and HD Radio Receiver, Online Services, 21” Cayenne SportEdition Wheel, Black with Wheel Arch Extension, 8-speed Tiptronic S including Auto Start Stop Function, Trailer hitch, Automatically dimming rear view mirrors with Memory Package, Light Comfort Package with Memory Package and more. 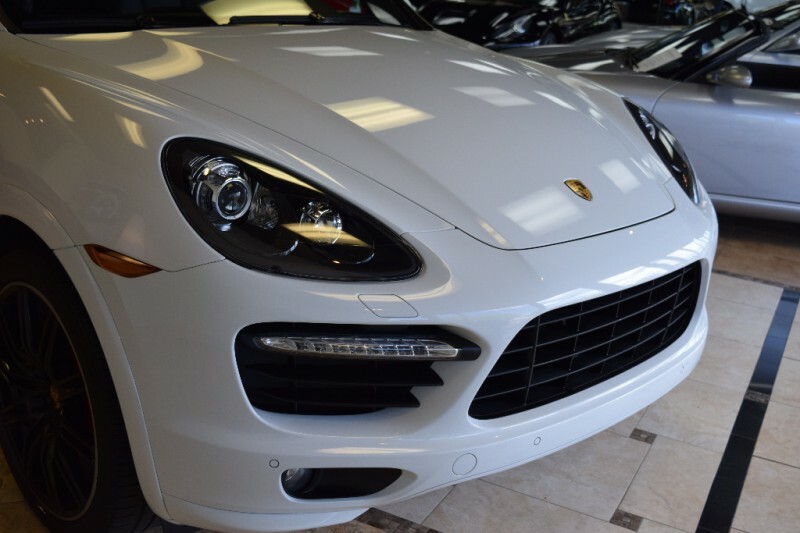 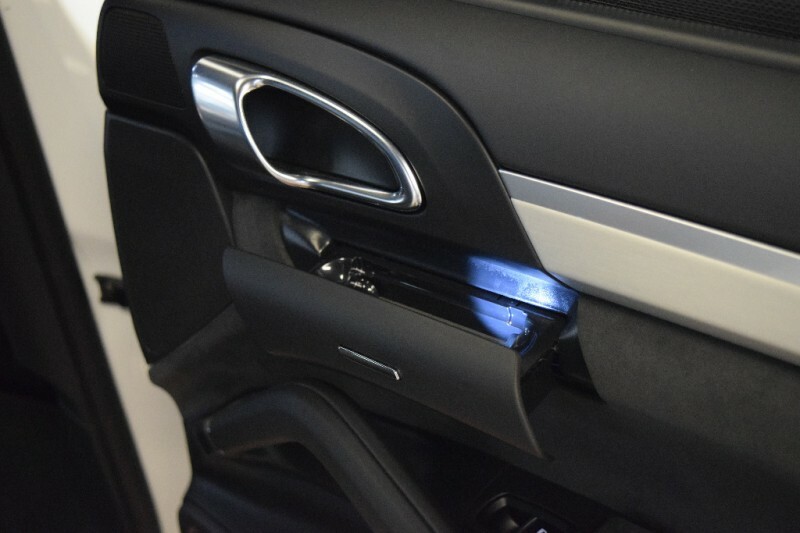 Extremely well maintained, all services completed by Authorized Dealers, entire front of the car is covered with XPEL (3M) paint protection film. 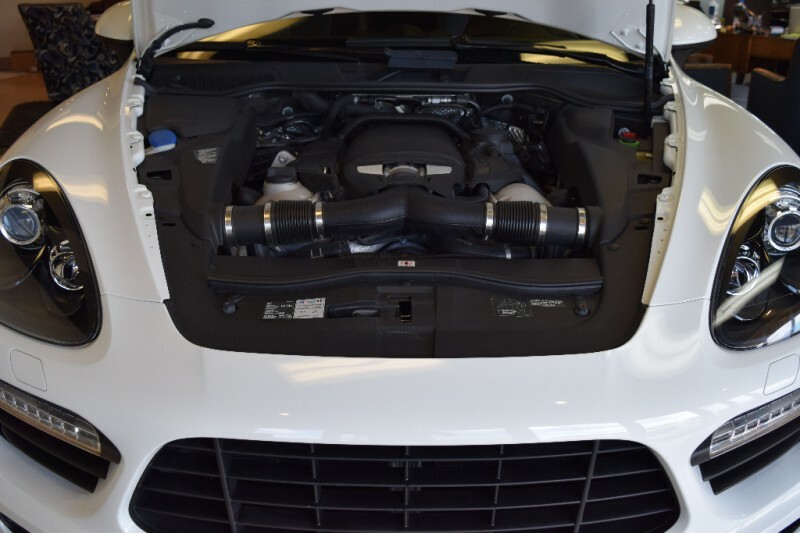 Including the entire hood, fenders, A pillars, and the first 10 inches of the roof. 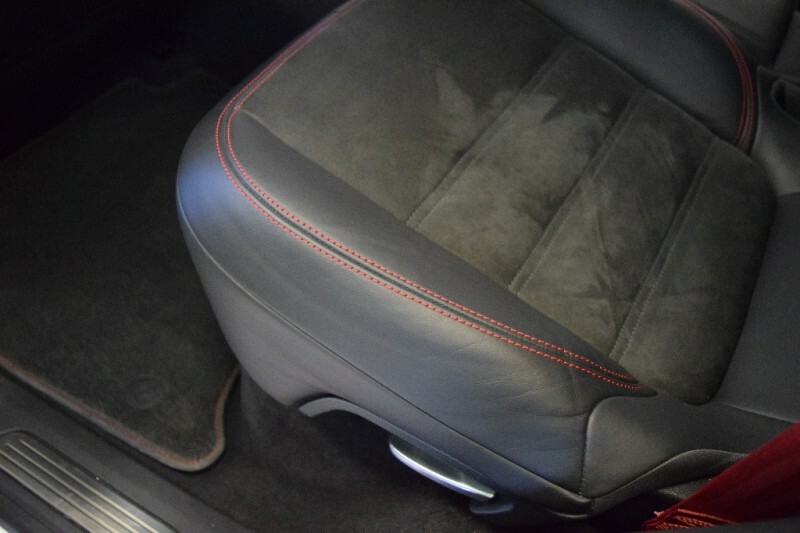 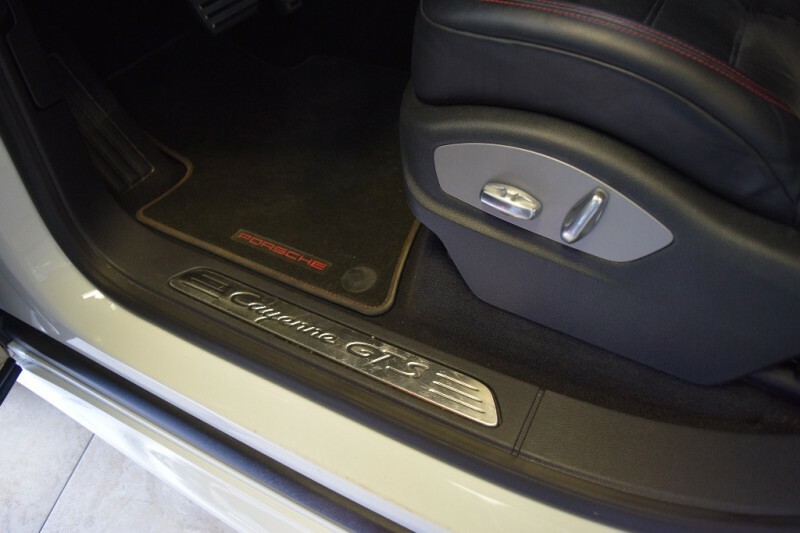 Factory mats still like new, along with full set of weathertech mats. 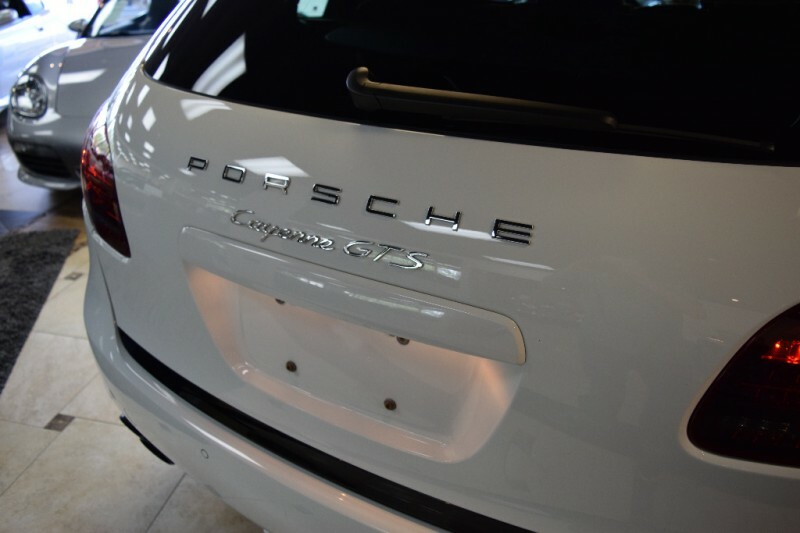 Will satisfy the most discriminating buyer !